Charmission Travel has been going in the direction of being a responsible company from the beginning, right when we came up with the name and the logo. Mission is a kind of olive. The Chinese name of our company means Olive Tree. We love green and peace. 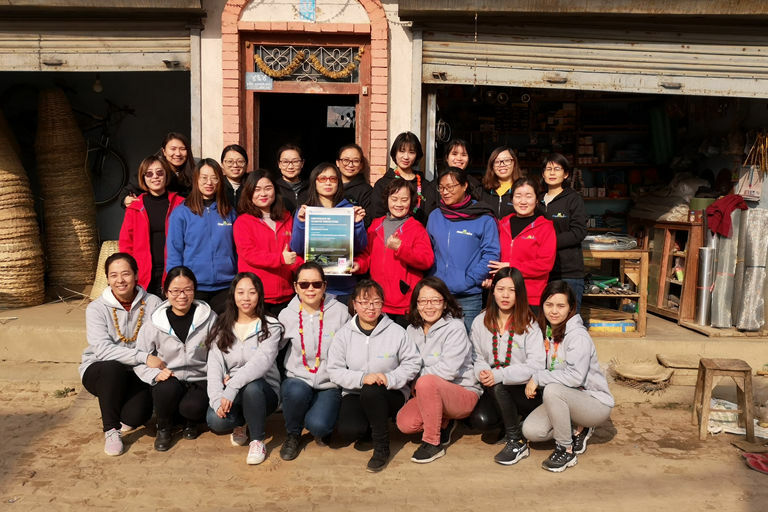 Our Mission is: To share the charm of China with people in a sustainable way and to help people from different places understand, respect and learn from each other through travel. Our Vision is: To bring benefits to all relevant parties: travellers, clients, staff, suppliers, local communities and environment and the society. The “Mission” was a bit subconscious in the beginning actually. But it has been more and more clear for us it is the way to go. Lucky us, we work with some of the most respectable tour operators who have been leading the way and we are surrounded with some of the best DMCs from a few of other countries who share the same value. We’ve learnt from them a lot. The “Vision” has its root back to almost 20 years ago when I was studying at University. Our writing class teacher asked us to write an English article about what we will be doing in the future. I wrote: “Whatever I will be doing, I should be doing something good for the society and people.” I didn’t realize that I had been working under the guidance of it until I found this article on my writing book not long ago. Now thinking back, it was exactly the reason why I chose to found Charmission – to build a company culture that can realize this. Again luckily I have a fantastic team who share this vision with me and have always been working together with me. To be a responsible travel company is the way to fulfill our Mission and Vision. Hence the answer to the “why”. We do internal management in a way that is good for the staff and the environment. We offer sustainable tours to our clients which bring benefits and culture exchange to the travellers and the local people and protect the local environment the best we can. We contribute to the projects that help with the environment and the people in need. We offset the CO2 emissions from all our tours. We achieved the Travelife Partner Certificate. We are the first and only one recognized by Travelife in China to date, for the long-term efforts and frontrunner position of Charmission regarding sustainability and Corporate Social Responsibility. Of course, there is a lot more that we can do. We will keep working hard to carry forward our Mission and Vision.